In December of 2014 the whole world was warned by a military pilot member of Operation Indigo Skyfold. “Blue Jay 1”, as he is known, revealed that starting in January of 2015 the skies of the planet would see a considerable increase in the amount and intensity of chemical geoengineering by way of chemtrail-spraying operations. As indicated from the volumes of anecdotal evidence posted on the Internet, there is no question that the pilot whistleblower (Blue Jay 1) was absolutely right in his prediction. The fact that 2015 has now gone on record as the hottest year in recorded history is also a testament to the overriding influence that chemical geoengineering has on planet Earth’s climate. Particularly when chemical geoengineering is used in tandem with highly advanced HAARP technologies, out-of-season weather events and unseasonal climate calamities can be fabricated quite quickly and impressively. chemtrail operations have been conducted with extraordinary zeal. altered the local weather patterns and normal climate trends nationwide. as the sun rays are blocked and mold counts have increased dramatically. acceleration of the hydrological cycle is the exacerbation of climate change. to every facet of Global Climate Change. Certainly the folks in New York City are surprised to be gallivanting around in shorts and tees during the holiday season, as are those who live in the nation’s capital. What is particularly curious is that no one (with societal standing) throughout these bastions of intelligentsia and political power, respectively, has made the obvious correlation between the exceedingly high temps and the practically permanent state of chemclouded skies. How is that so? Don’t politicians and lobbyists, research scientists and academics ever look up at the sky? If they did, they might see something like the preceding photo. There is actually a very good reason why no one ever from the establishment — political or scientific — ever talks about chemtrails or chemclouds in public. They are strictly forbidden from even mentioning such a super-secret program that undergirds the New World Order (NWO) agenda to create a One World Government. Hence, there is never any official word issued from government or weather reporting agencies despite their high level of awareness regarding the chemtrail aerosols sprayed overhead (as in directly over their heads). Until now! Now that the geoengineers have sufficiently ramped up their spraying programs to create continuous cloud cover over vast swaths of the United States, Canada and beyond, they have conditioned the populace to believe that this is the new normal. You know, it’s also called climate change. Or Global Climate Change (GCC) when they want you to believe that this is an overarching planetary climate pattern directly caused by human activity, specifically anthropogenic CO2 generation. Well, GGC certainly is caused by humanity, except most of any climate change is being purposefully geoengineered by the geoengineers. They (NWO globalist cabal) have conveniently forgotten to mention that because of their fixation on CO2 production, and its calculated control. Only by fastidiously controlling carbon inputs and outputs can a “Global Carbon Control Matrix” be put into place. Because it is CO2 which must be strictly controlled in their New World Order, they already have designed a full-blown Global CO2 ‘Management’ Regime. There are many reasons why they intend to bring this misguided scheme to full fruition. It has nothing to doing with being good stewards of Mother Earth and everything to do with maintaining absolute dominion over every cubic inch of the biosphere. Some are even convinced that they are intent on destroying the biosphere. Kind of like they have waged endless wars as a means of promoting disaster capitalism. In this way they will use the profound and pervasive environmental destruction as an explanation for creating a whole new global economy based on carbon trades. Carbon emission trading has already become the new biz with its carbon credits and carbon taxes and everything in between. Carbon cap-and-trade schemes also run the gamut as do other corporate approaches to offset GHG reductions. Of course, all of these carbon tricks of the trade are merely a pretext to super-regulate every aspect of the biosphere … staring with CO2. What follows is a quote from the historic REPORT FROM IRON MOUNTAIN which spells out their intentions with Agenda 21 and the Agenda 2030. The REPORT FROM IRON MOUNTAIN (RFIM) is distinguished for many reasons; however, the key takeaway is that the NWO cabal that commissioned it has since implemented its recommendations. The 2030 Agenda for Sustainable Development falls under the purview of the U.N. and is a perfect manifestation of the plan to foist a One World Government (OWG) onto the world community of nations. This has been happening incrementally over several decades just as the same ruling cabal foisted the European Union on much of that continent. Such an overarching worldwide plan can only be executed by a new global superstructure or One World Government. In this fashion the administration of geoengineering programs will take place at a supranational level so that citizens and nation-states no longer have a say about any facet of their weather or general environment. In fact the TPP (Trans-Pacific Partnership) and TPIP (Transatlantic Trade and Investment Partnership) are two integral initiatives which have significantly advanced the outright globalization of all land, water bodies and courses, and other natural resources. Although neither agreement appears to provide such powers, they are only the first step at stripping sovereign nations like the USA of their constitutional rights and liberties. Slowly but surely the goals of the RFIM are being fulfilled in ways that are both startling and totalitarian. Now consider the following excerpt about water vapor. Water vapor tops the list of greenhouse gases in the atmosphere. The earth continuously produces water vapor, which evaporates and then goes up to the atmosphere. Clouds, fog, and haze are all part of water vapor, with steam being the main fossil fuel combustion byproduct. Steam from water comprises up to 70 percent of the total greenhouse effect. What is truly critical to understand is that water vapor is the number 1 greenhouse gas. In terms of total volume and total effect which directly impact the current global climate trends, water vapor far exceeds CO2. More importantly, the actual percentage of manmade CO2, also known as anthropogenic carbon, is a fraction of what is produced by the biosphere exclusive of the human race. This discussion ought to seriously alarm any person who is involved in the raging global warming debate. The reason: because if there really is a scientifically established trend of rising of temperatures globally, it is due to the massive increase in water vapor which is being generated from chemical geoengineering programs via chemtrail aerosols. This particular source of the GHG water vapor is by far the greatest. It is also the easiest to control. All they need to do is shut down all geoengineering programs until a new baseline can be determined across the whole range of GCC contributions factors. The globalists who are behind this unrivaled ruse have spent billions trying to convince humanity that their (each individual’s) carbon footprint is to blame for the climate chaos. No one denies that much more CO2 is generated by an industrial civilization. 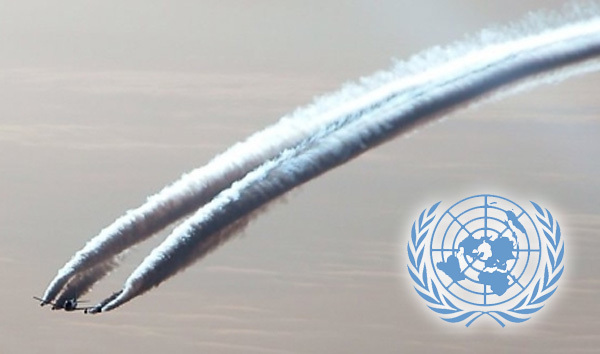 However, compared to the ongoing and incessant chemtrail operations conducted around the globe, the real anthropogenic culprit would be geoengineering, not industrial operations and/or energy consumption. Although, it should be pointed out that both industry (coal-fired power plants in particular) and geoengineering are responsible for spewing enormous amounts of coal fly ash into the atmosphere. Simply put, the rain events worldwide and global cloud cover have entered a whole new league ever since chemtrailing and chembombing have become such a common sky-polluting practices. 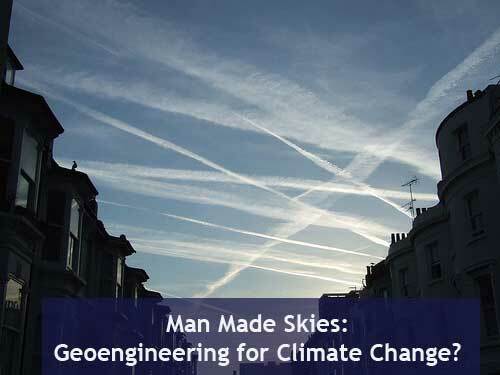 The geoengineers have pushed the edge of the envelope with their atmospheric manipulation in ways that are now having a tremendous influence on worldwide weather patterns. The longer term climatological impacts are likewise being seen and felt as never before. Because “chemical geoengineering has become the new normal” there can only be one disastrous result. 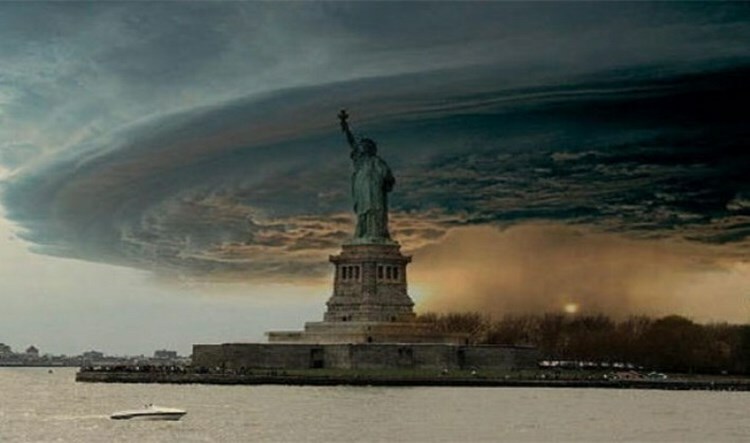 The world community of nations has been experiencing those weather calamities for many years now. Each country has a tale of weather woe to report no matter where they are located. Drought now routinely alternates with deluge, as do catastrophic wind storms whip up with greater frequency. Each season — in both the Northern and Southern Hemispheres — now brings freak weather events and unpredictable climate chaos so often that they are also the “new normal”. Because the geoengineers are so determined to control the world’s climate, they have essentially been conducting a massive experiment with the entire biosphere. 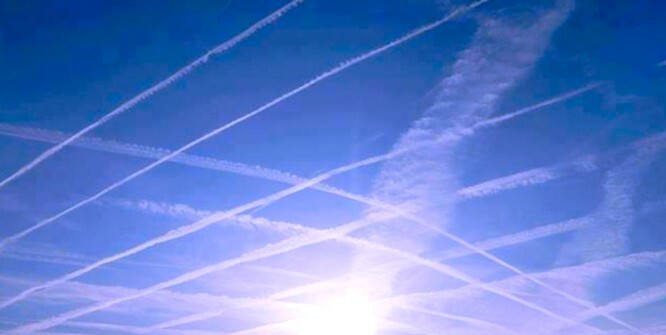 Now that the delicate balance within Earth’s atmosphere has been upset for so many years, it is impossible to know what the climate would be like without all the artificial weather modification. The pervasive programs of ongoing chemtrail spraying are now so intense and unrelenting that 2016 promises to bring much more of the same climate chaos. At the end of the day one firm conclusion will be drawn from the current geoengineering paradigm. That any and all dramatic changes, which have been observed regarding global weather patterns, are directly attributed to the out-of-control chemical geoengineering regime that now overlays much of the planet. That 2015 is shaping up to be the hottest year on record stands as a testament to this. Although many refuse to admit that relentless geoengineering can in fact increase temperatures both regional and globally, this past fall and the current winter have proven the now obvious. 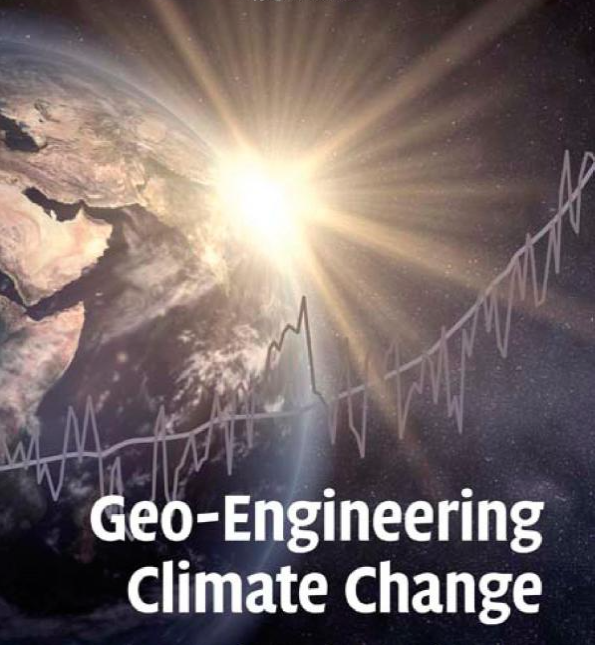 This deliberate manipulation of public opinion around global warming has only served to allow the geoengineers to maintain their fundamentally flawed paradigm. 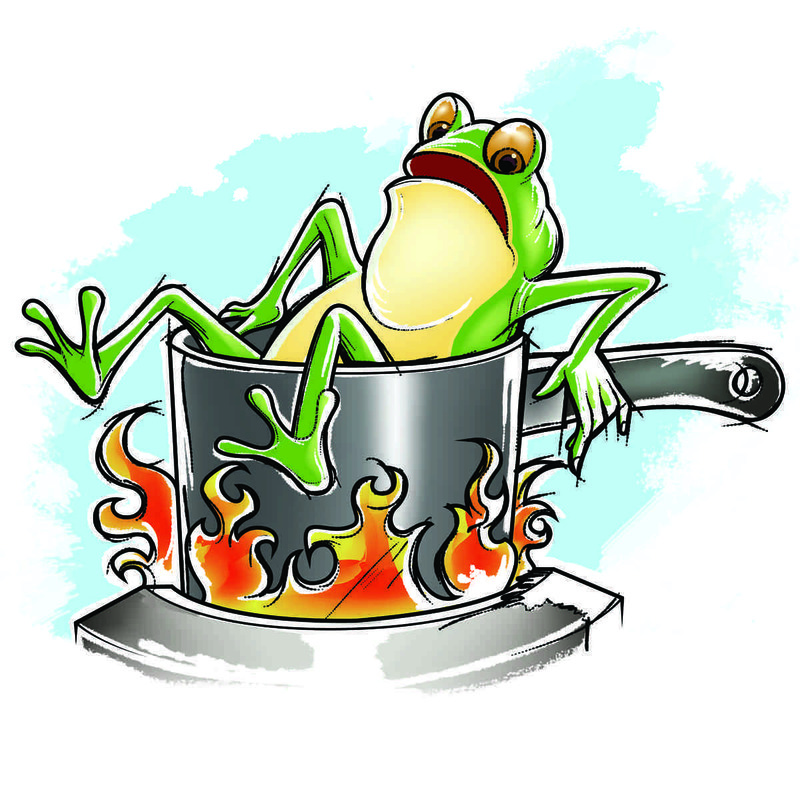 In so doing they have been empowered to conduct an extremely dangerous experiment in which all of humanity now sits as does the now famous frog in his/her pot of soon-to-be-boiling hot water. Many go so far as to deny that the glaciers have been melting at record rates all over the world. Just because they have disappeared because of geoengineering techniques doesn’t mean that it’s not happening. Soon the ambient ocean temps will be so out of whack that coastlines everywhere will be forever altered. Since many residents of the world live near the shorelines, this development alone will continue to proceed with overwhelming effect. Just like New York City was buffeted by Superstorm Sandy and Manila is blasted by one typhoon after another, other major megalopolises are likewise exposed to the ravages of geoengineered climate change. Planet Earth is being systematically geoengineered into a slow-motion extinction level event. Everyone has heard by now that if you tell a BIG enough lie enough times it will eventually become accepted as the gospel truth. Both of these highly consequential notions are being repeatedly misrepresented by governments and the mainstream media (MSM) alike. Likewise the entire Military-Industrial Complex and related Fortune 1000 companies completely support this covert global endeavor of weather modification and climate engineering. In fact the U.S. military has taken the lead role first in the execution of Operation Cloverleaf, and later on in the implementation of Operation Indigo Skyfold. Both highly vetted Air Force and Navy pilots are the primary personnel who fly the specially retrofitted airliners which emit the coal-ash based chemtrail aerosols. Each of them is supported by every organ of government and provided with a prodigious amount of resources to maintain these outright lies. The entire corporate sector has been likewise enlisted to maintain the unending coverup of both the blue skies and the conspiratorial plot–chemical geoengineering. They have both been indefatigably assisted by the MSM at every turn in this ongoing Con of the Millennium! The real problem with the ever-worsening planetary predicament is that eventually the biosphere will exceed critical points of no return. Crucial breakpoints have already been observed which have caused ecosystems to collapse. Isn’t that what continuous drought and regular deluge will do? The once great state of California is a perfect example of what the other 49 states can expect. Because the true effects of geoengineering are so insidious and under-the-radar, the entire planet is literally being set up for a slow-motion ELE (extinction level event). Only because an apocalyptic event has not yet occurred on the scale of the Great Flood or the “Sinking of Atlantis” do many blow off such speculation as the stuff of a fertile imagination that is overly influenced by Apocalypse consciousness. However, the signs and omens now abound everywhere. Harbingers of an environmental Armageddon show up uninvited everywhere and anywhere, especially by way of meteorological devastation. All anyone has to do is look at their local weather, or tune into the national weather events. An even better barometer reading will come from a quick scan of the regional or global news reports concerning major weather events. They now occur with such frequency that they cannot be ignored. As a matter of fact, if the historical weather records were carefully reviewed, the following conclusion would become clear. That the number of deaths and amount of damage from weather-related events has seen a steady and often precipitous rise, especially since the implementation of the perpetual and purposeful global geoengineering programs. There is only one reason why the planetary civilization finds itself at the edge of the climatological precipice. That reason: Most of the people of the world are clueless about what is occurring right above their heads. Many are willfully ignorant of the chemtrails; others are simply unaware and uninformed. The continual government disinformation campaign has been so effective that many don’t even know what to think. Then there is the small but vocal minority of truth-seekers who know exactly what is going on. Hence, the only way forward is through a deliberate campaign of education and edification. 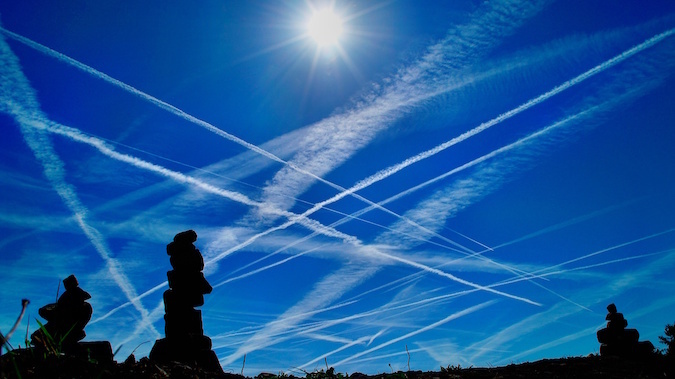 The education piece clearly delineates the facts about geoengineering; the edification part explains the necessity of mobilizing around the urgent need to terminate the chemtrails post-haste. 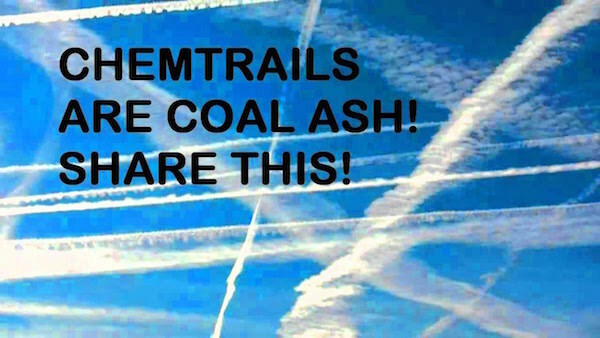 When most people come to understand that the hazardous waste product from coal-fired power plants — coal fly ash — is the main ingredient in chemtrails, they will join this movement—yesterday! Truly, if ever there was a plot to commit genocide against the whole human race, the present system of ever-intensifying chemical geoengineering programs is it. Therefore, the people must be made aware and motivated to respond accordingly. After all, no one likes toxic chemicals being sprayed on them all day long for years on end. Nor does anyone like the blue skies being unceasingly polluted, particularly when the pollution becomes so dense the sun rays are forever blocked. Who, pray tell, wants their sunny days stolen from them week after week … only to be replaced with days of toxic chemtrail drizzle? The REPORT FROM IRON MOUNTAIN (RFIM) should not be underestimated for it clearly outlines the future of the New World Order. Both U.N. Agenda 21 and Agenda 2030 are manifestations of the basic game plan recommended by the RFIM. Therefore, this is a very good place for many to start. The following link provides an important essay which breaks down the whole NWO strategy to corral the human race into a pen of fear and apprehension about the future viability of the biosphere. Many people are now aware of the major scams being run daily by the global elites on the inhabitants of this planet. Who, for instance, is not aware of the international crime syndicate known as the Federal Reserve and the global Central Banking System? However, of all the cons and shams there is none greater in scope and complexity than manufactured Global Climate Change via chemical geoengineering and HAARP. That they even attempted, much less continue to perpetrate, such a preposterous scheme only betrays their level of sheer desperation. They do know that, when a critical mass of residents get wind of their ploy for total planetary control, they will be frogmarched out of their plush offices and posh estates and into the same pot of hot water they have been ever so slowly heating up. There they will be left in a stewpot of their own making, never to take over the kitchen again. Hey people, it really is time to LOOK UP. Link up. Stand up. Speak up. Get up. Talk it up. And a lot LOT more. We all possess a fundamental right to not be chemically assaulted by anyone, or any entity under the sun. Likewise, we all have the right not to have our home and property chemically trespassed by anyone, or any entity under the sun. Therefore, we all have a fundamental right not to be sprayed by the chemical geoengineering programs currently in operation throughout the USA. Does anyone have the right to walk onto your property and indiscriminately spray toxic chemicals wherever they wish? We think not. Should they do so, repeatedly, they might end up in an institution for the criminally insane! Is there any business, organization or governmental entity that possesses the inherent power to conduct itself in this same manner? We don’t think so, lest they be responsible for chemical assault or trespass. Furthermore, we would challenge anyone in in the U.S. Federal Government, to cite a single instance where anyone, or any entity, possesses the legitimate (does not transgress inviolable rights), statutory power to engage in such intrusive and outright harmful behavior. After all, chemical assault is chemical assault no matter who is spraying the toxic chemicals … or how secretly they conduct the chemical trespass. It is truly inconceivable that such a destructive and harmful government program is running 24/7 right over our heads and hardly anyone notices. 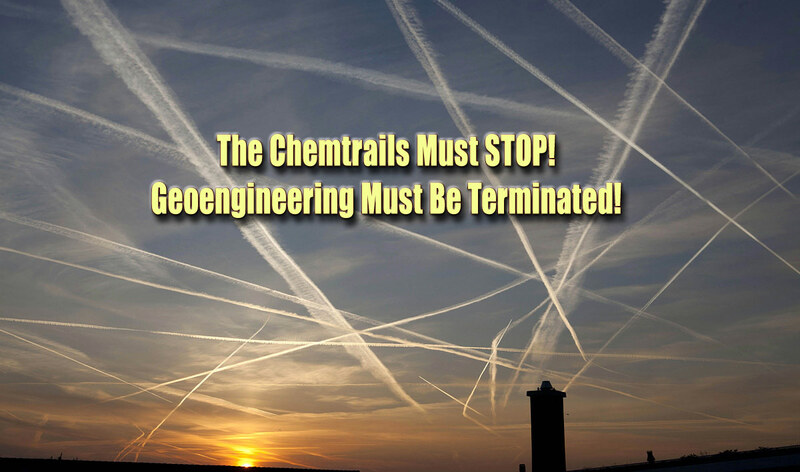 Because so few have taken notice, We the People are now forced into a geoengineered corner. And there’s only one way out of that corner. What’s the point? The American people are now dictated to by another despotic tyranny. Now we have the patently unlawful and covertly executed Geoengineering Act administered by the U.S. Federal Government. This is just one of many other unwanted national initiatives that have been imposed on the citizenry such as GMO foods, fluoridated water, mandatory childhood vaccinations, circumcision without consent, as well as a whole slew of taxes and fees which have kept many in the state of perpetual poverty. None of these, however, compare to the fouling of our air. What could possibly come close to the poisoning of the ambient air that we breathe with so many highly toxic contaminants? !